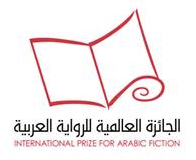 The shortlist for the International Prize for Arabic Fiction (IPAF) — better known as the Arabic Booker — was released last week; the winner — who receives $50,000 (shortlisted authors receive $10,000 — will be announced March 14, 2011 during the Abu Dhabi Book Fair. The six writers on the shortlist are from Egypt, Morocco, Sudan and Saudi Arabia. Iraqi writer and the chair of judges for the prize, Fadhil Al Azzawi, spoke to Publishing Perspectives from his home in Berlin. US-based university professor and writer Miral al-Tahawy’s Brooklyn Heights (published by Dar Merit) tells the story of Arab immigrants in the US over the past decade. Al Alem’s staggering novel reveals a completely unknown side of the holy city of Mecca that includes prostitution, religious extremists and a mafia of building contractors who exploit foreign workers. The Moroccan writers are both current and former Ministers of Culture. Bensalem Himmich, in My Tormentor (published by Dar El Shorouk) writes about an innocent man’s experience in a US prison. Mohammed Achaari tackles Islamic extremism and terrorism and its effects on family life in The Arch and the Butterfly (published by Al-Markaz al-Thaqafi al-Arabi). In An Oriental Dance, (El-Ain Publishing) Khalid Al-Berry’s recounts a young Egyptian’s experience living as an expatriate in the UK. The Sudanese writer, Amir Taj al-Sir writes about a former secret service agent in The Hunter of the Chrysalises (published by Thaqafa I-al-Nashr). The Web site Arabic Literature (in English) has done a good job handicapping the prize and covering the inevitable controversy surrounding the shortlist.